These foam puzzles have magnetic backing so pieces will stick to most metal surfaces. Pieces fit snuggly and are still easy to remove. Durable foam is easy to clean. 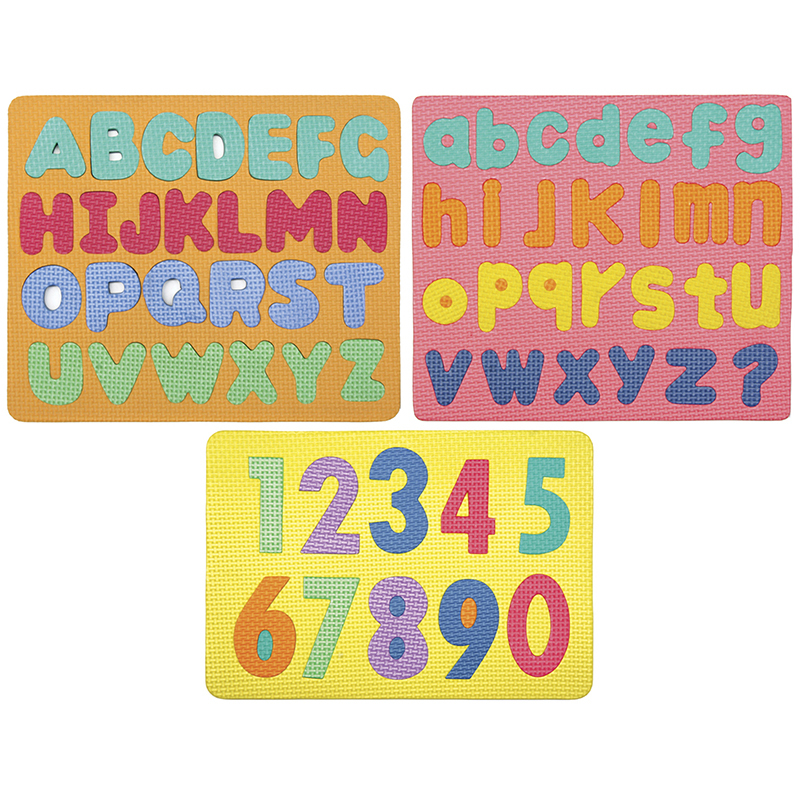 A terrific set that includes one each of our Upper Case Letters Magnetic Puzzle, Lower Case Letters Magnetic Puzzle, and Numbers Magnetic Puzzle. Each individual set contains 3 puzzles. Sold as 2 sets for a total of 6 puzzles. 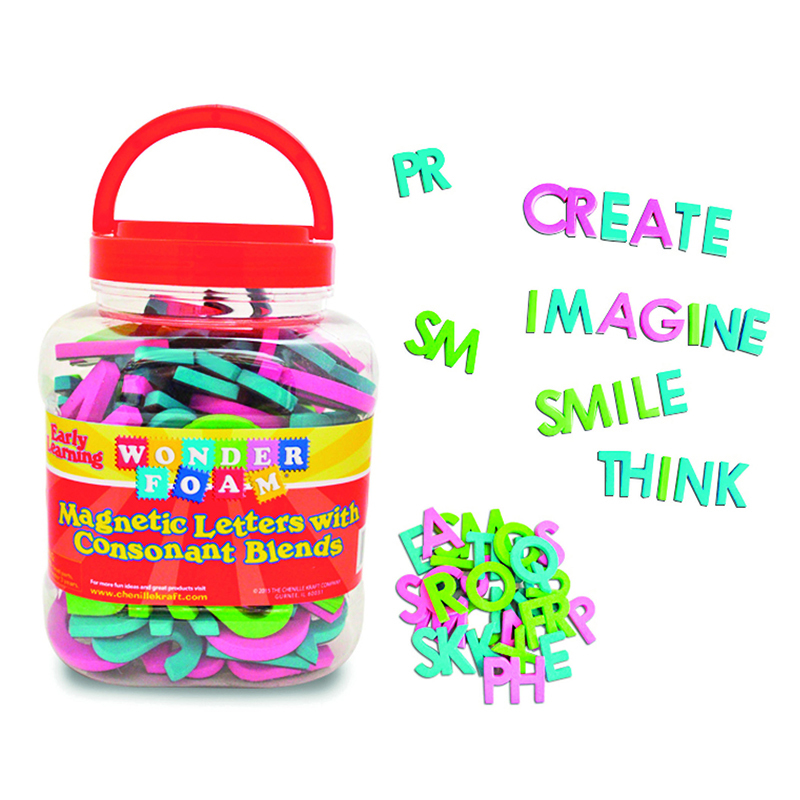 The (2 Ea) Wonderfoam Magnetic Letters& Numerals Puzzle Set can be found in our Foam product category within the Arts & Crafts. Durable Foam brushes are easy to clean. Easy-to-grip handles have built-in storage loops for hanging. 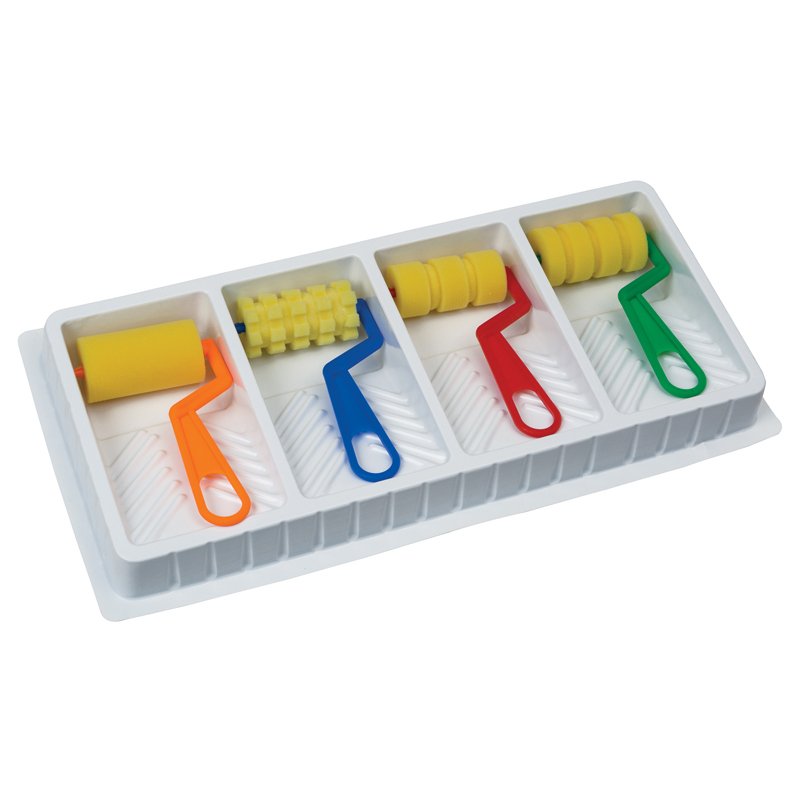 Each pack includes 4 foam paint rollers with distinctive patterns in a four-well paint tray. Sold as 2 packs for a total of 8 foam rollers and 2 trays.